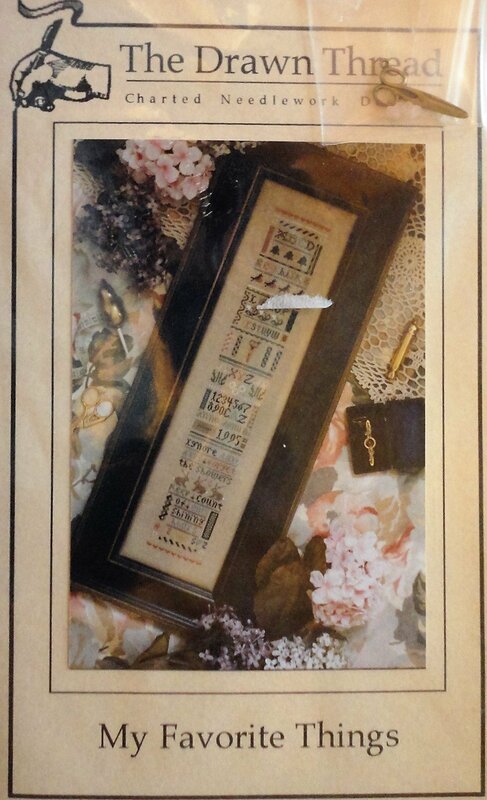 The Drawn Thread Sampler cross stitch chart My Favorite Things includes scissor charm and buttons. This is a chart for sampler entitled "My Favorite Things." The stitch count is 38 w and 270 H. A scissors charm and 2 little heart buttons are included. This listing is only for the pattern and embellishments. No other items are included. Pattern is in very good condition, never used, . Tote Bag with transfers for appliques and cross stitch sewing pattern Simplicity 6488 14" x 16"
Bent Creek Baby Announcement Cross Stitch KIT includes cloth and thread "Baby Ewe"